Guess what?! Caiti Beattie is back and we could not be happier! Caiti will be joining us this summer as 1 of our 5 amazing unit leaders! Caiti was a one on one counselor 3 summers ago, and was primarily in Oscadees in 2016. Caiti has been in the Falkland Islands working as a broadcast journalist. She says that she has spent a lot of her time taking pictures of the penguins, and reporting the news on T.V. However, when she is not working she loves to play hockey and has discovered her new passion of watercolor painting. 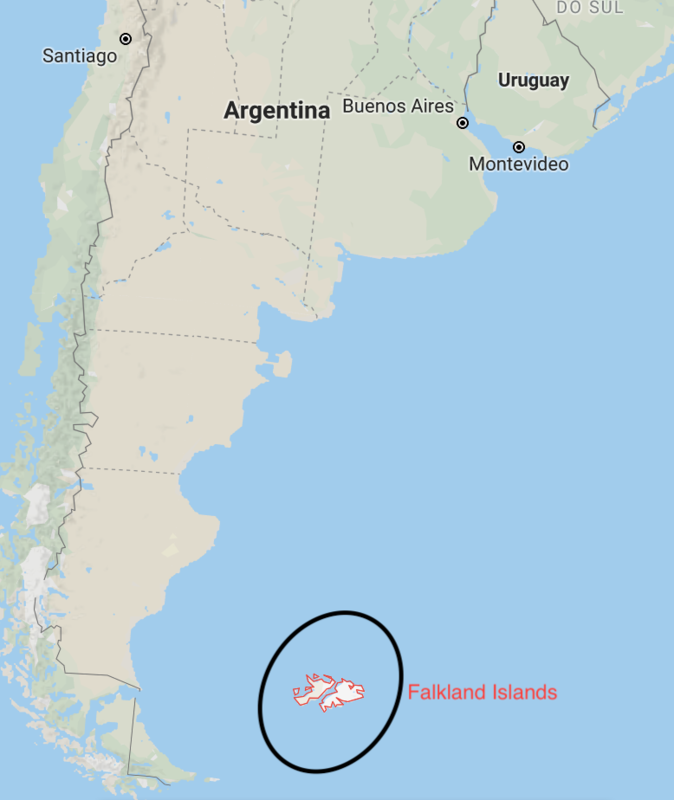 The Falkland Islands, because we had to look when we first found out. Caiti teaches horseback, and mostly anything active. She also taught Scottish country dancing in 2016, which added a great flare to performance hour. When asked if she could magically teach anything she said, “If I could magically teach anything at camp I think it would be hockey horseback tennis. A game played on horseback where you use hockey sticks and balls to bounce the ball backwards and forwards like tennis, all done in the lake (I just made that up – but I think it sounds awesome)” If that answer doesn’t show why Caiti is perfect for camp, then I don’t know what does. She loves that fact that camp is the perfect place to make new friends, and stay connected to the outdoors. She loves that all the time outside and being active makes everyone 10x happier, and she believes that is why everyone at camp is always smiling! Make sure this summer you look out for Caiti, you will be able to spot her because she will definitely be sporting her Scottish flag, and probably singing silly Scottish songs. Her unit will be blessed with her energy this summer, and we can’t wait to have her back this summer!